If the ballot is passed, they will start with a 24-hour work stoppage and escalate their action the following week. NURSES AND MIDWIVES will be asked to vote in the coming weeks on all-out strike action. 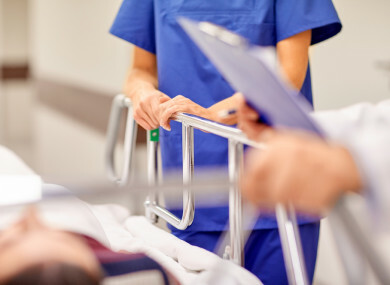 The Irish Nurses and Midwives Organisation (INMO) said today that it is aiming to resolve understaffing in the health service and claimed low wages have made it “impossible for the HSE to recruit and retain nurses and midwives to provide safe care”. A recent government proposal on pay, which the union said would not have affected most nurses and midwives, were rejected by 94% of its members just last month. “In unresolved, this could escalate to two 24-hour stoppages the next week,” the INMO said in a statement. The ballot will take place over the next four weeks, which could result in strikes at Irish hospitals in the run up to Christmas. The union pointed out that there are 2,600 fewer nurses working in the Irish public health service today than in 2007 and called for an “across-the-board pay rise” to deal with the problem. “Although notified of the rejection on the 17th of October, health employers failed to meet the INMO before today’s Executive Council [meeting],” it said. The organisation’s president Martin Harkin-Kelly said they had been “forced down this path” by the government’s failure to deal with “chronic under staffing”. Email “Nurses and midwives to vote on all-out strike action ”. Feedback on “Nurses and midwives to vote on all-out strike action ”.